The judges said "Nichola Elvy has used her knowledge, skills and experience to offer an OH service to a group of workers who previously had no, or very limited, access to OH. She has built a team that offers this service throughout the UK and has shown innovation, leadership and teamwork, and made a substantial impact on the health of this industry". The judges awarded this prize to Brown and Mason for showing the initiative to set up a partnership with an occupational health specialist to safeguard its workers. 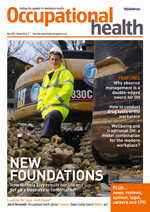 One of the UK's largest demolition contractors with 150 staff across the UK, this firm joined forces with health and safety consultant Building Health in March 2005, and created a team of health and safety professionals. The ground-breaking work of an occupational health consultancy has been recognised with two prestigious business awards. The company was praised by for it's rapid development, clear business strategy and unrivalled understanding of the demolition and construction industries. Building Health Ltd, which specialises in providing occupational health and safety services to the demolition and construction industries, has been named 'Best New Company' in the Lewisham Business Awards. Building Health Ltd was also the ‘winner of winners' and won the overall award of ‘Company of the Year'. Managing Director Nichola Elvy said: "I am delighted to have won – it is testament to the commitment of my clients to look after the health of their employees". 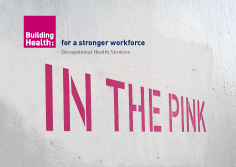 Building Health Ltd was founded last year by Nichola Elvy, a Registered General Nurse qualified in occupational health, occupational hygiene and health and safety and who had a ten year career in the Health and Safety Executive. Providing services to the "hard end" of the construction industry Building Health Ltd helps employers meet their legal requirements as well as offering occupational health and safety advice. The company, which is based in south-east London but works throughout the UK , already counts the country's biggest demolition companies among its clients but also works for a number of small family run firms. Among the health services offered are: pre-employment health screening; full health assessment with blood pressure and urine screen; vision screening; audiometry; ear irrigation treatment; spirometry; health surveillance for occupational skin disease; biological monitoring; screening for hand arm vibration syndrome; asbestos medicals; PTS medicals; and blood lead medicals. The awards ceremony which was hosted by the London Borough of Lewisham was held at the Blackheath Halls, in London , on Wednesday 22 March 2006. Created last year by Lewisham mayor Steve Bullock the awards recognise new and innovative businesses. Mr Bullock said: "Businesses in Lewisham make a huge contribution to the borough. They drive its economy and form a vital part of its social fabric. The Business Awards aim to recognise and celebrate that contribution."